USAA Insurance Eligibility: Do You Qualify for Coverage? If you’re looking for really great car insurance, USAA is a safe bet. This nearly century-old company, which primarily serves America’s military families, is known for its high customer satisfaction and brand loyalty scores. USAA insurance members get an annual refund check if the company takes in more premiums than it pays out in claims. USAA also offers other financial services, including mortgages, auto loans, and banking. Not everyone is eligible to become a USAA member. But here’s the good news: You may meet the USAA eligibility requirements — even if you’re not in the military or directly related to someone in the military. What Are the USAA Eligibility Requirements? USAA defines the U.S. Armed Forces as the active duty, Selected Reserve and federally recognized National Guard components of the Army, Air Force, Navy, Marine Corps, and Coast Guard. If you’re currently serving, you’re probably eligible. 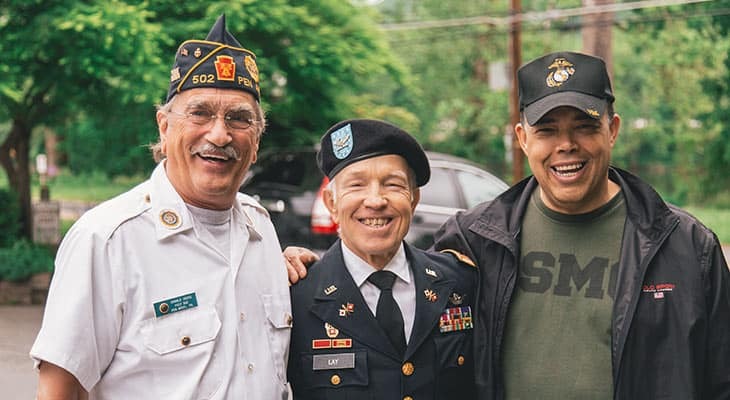 Military retirees and former military service members who were honorably discharged are eligible for USAA membership. Cadets and midshipmen at the U.S. service academies (such as the Naval Academy or the Air Force Academy) meet the USAA eligibility requirements. So do students in advanced ROTC or on an ROTC scholarship, as well as officer candidates within 24 months of commissioning through other programs. Once a member, always a member. If you were once a USAA member, and you purchased a property or casualty policy at that time, you may reactivate your membership. What about USAA eligible family members? An un-remarried former spouse of a USAA member who joined USAA prior to or during the marriage. When we’re talking about USAA family eligibility, the member must be a full USAA member. For a few years (2009-2013), USAA offered its banking services to everyone, regardless of military or family affiliation. Some people may still retain their USAA bank accounts but aren’t eligible for insurance products. How Do I Become a USAA Member? If you already fit into one of the categories described above, it’s pretty simple – compare car insurance rates from USAA against many other popular insurers via our quote process. If you feel USAA provides you with the best rates, we’ll direct you right to one of their agents where you can buy a policy instantly. If you don’t fit the USAA membership qualifications, it still may be possible for you to join. How? Let’s say your parent or spouse has served in the military but is not a USAA member. If that family member then joins USAA, you could become eligible. The benefits may be passed down through families — as long as you are a USAA insurance member in good standing, your children are eligible to apply as well. USAA membership eligibility does not extend to a member’s parents or siblings, however. And if your military family member is deceased, you can’t establish USAA membership posthumously. Don’t meet the USAA membership eligibility requirements? You’re not out of luck! Our powerful quote engine will help you compare personalized car insurance quotes from multiple companies. Once you find the best deal, you’re good to go! Just enter your ZIP code to get started today.